Generously donated by the Fondation Hoffmann, the Foundation Hoffmann scholarship is available to all students studying towards an associate’s degree who can partially fund their studies. Recipients of this scholarship will have up to ten Exam Processing Fees funded, enabling motivated students from around the world the opportunity to earn an accredited academic degree. Students from all countries worldwide are welcome to apply for the Fondation Hoffman Scholarship after they have completed their student application and been admitted to the University. Applicants must prove high school completion through the submission of a high school diploma and transcripts. Exemptions may be made for applicants who are not able to produce these documents due to various reasons, including refugee status. All applicants must complete the application requirements and undergo the application process in order to be considered for admission into the program. Further information regarding UoPeople admissions requirements can be found here. Students wishing to apply to the Fondation Hoffman Scholarship through UoPeople need first to be admitted to the University. Once a student receives his\her official notice of admission, they are eligible to request financial assistance from one of the many scholarship opportunities available at UoPeople, including the Fondation Hoffman Scholarship. Individuals applying to the university with refugee and/or asylum seeking status should notify the Office of Admissions at the beginning of their application process. Individuals who are classified as refugees and/or asylum seekers – detailed here are invited to apply for this exciting scholarship opportunity to study towards their associate’s degree in computer science or business administration. Interested individuals should first complete the UoPeople online application. Upon admittance to UoPeople, applicants will be invited to submit a request for financial assistance. There is no definite deadline date for applications. There are 5 terms in each Academic Year, from Term 1 to Term 5. 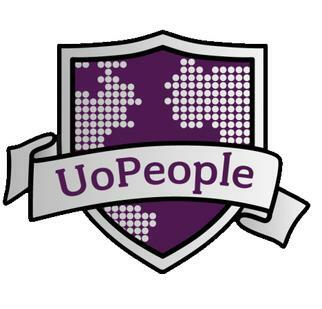 UoPeople admits new students to the University at the beginning of each term. Thus, applications are accepted year round. University of the People (UoPeople) is an American non-profit online institution of higher education headquartered in Pasadena, California, United States. It currently offers degree programs in business administration and computer science, with plans to offer a degree in health sciences as well as an MBA in the near future. It is the only OER (open educational resources) university in the world. The school is accredited by the Distance Education Accrediting Commission. It is also approved by California Bureau for Private Postsecondary Education (BPPE). Thus, UoPeople is the world’s first non-profit, accredited, tuition-free, degree-granting online academic institution dedicated to opening access to higher education globally for all qualified individuals, despite financial, geographic or societal constraints.